2. 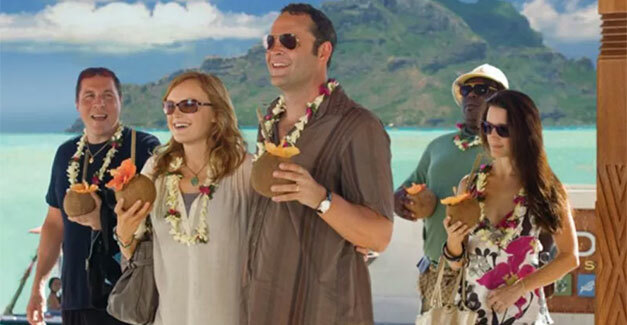 The movie “Couples Retreat”, starring Vince Vaughn and Jon Favreau, was shot at the St. Regis Resort Bora Bora, which appeared onscreen as the “Eden” resort. The cast claimed that they were on an acting vacation during the five weeks they spent at the resort! 3. Hawaii gets more visitors in 10 days than French Polynesia gets in an ENTIRE year! When you are looking for peace, beauty, and adventure….French Polynesia is certainly the way to go! 4. There are NO poisonous snakes or insects in French Polynesia. That’s right, you can go ahead and fall asleep on the beach, it’s ok. It really is Paradise! 5. Kim Kardashian boasted that her family trip to Bora Bora was one of the best vacations that she has ever had. Her show “Keeping Up With the Kardashians” just aired three episodes of the incredible time that they had there. They stayed at the Hilton Bora Bora Nui Resort Spa. 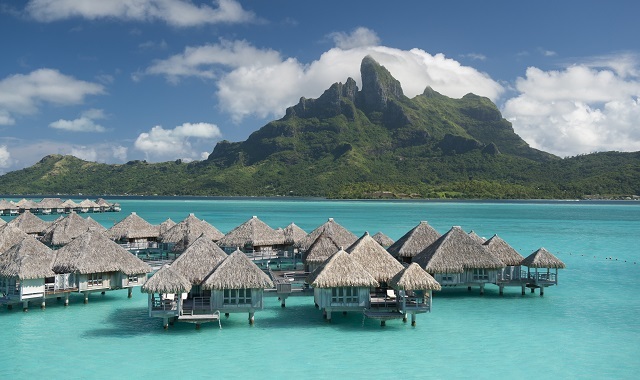 Bora Bora is an incredible vacation spot, that has a little something for everyone. If you would like to know more, please contact one of our Tahiti travel specialists today!